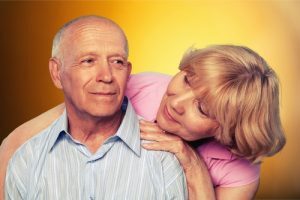 The most common type of dementia is Alzheimer’s disease and as the average life expectancy has risen in recent decades so has the occurrence of this and other neurodegenerative diseases. Aging is the primary risk factor for Alzheimer’s and researchers are searching for new ways to combat this devastating disease. The pathology of Alzheimer’s is characterized by the formation of tau-tangles and the accumulation of amyloid-β (Aβ) which damage neurons and gradually destroy sections of the brain leading to death. The debate over which is primary, tau or amyloid is ongoing and it remains unclear which is the most important of the two, or if both are a consequence of another underlying process. Today we are going to take a look at a 2016 research paper published in the journal of Neuropharmacology where the researchers hypothesized that increasing levels of apolipoprotein E (apoE) in the brain could be a potential therapeutic strategy for treating Alzheimer’s disease (1). Apolipoprotein E is one of the proteins used by the body to transport fats (lipids) in the bloodstream between one type of tissue or cell to another. In the brain the transport of lipids is essential for the growth of axons, synaptic formation and remodelling. The researchers proposed that the accumulation of detrimentally high levels of Aβ in the brain was not due to dysfunctional Aβ synthesis, but was actually due to poor cellular housekeeping not removing the Aβ. This combined with evidence that suggests that apoE improves the disposal of this peptide lead the team to make this hypothesis. There are three main genotypes of the apoE protein present in humans: E2, E3 and E4. The global distribution varies especially in Europe with a higher apoE E3 frequency in the Mediterranean and the apoE E4 genotype more common in Northern Europe. The apoE E4 genotype is one of the most important risk factors for age-related chronic diseases, including cardiovascular disease and Alzheimer’s disease. Interestingly, the level of apoE in plasma and cerebrospinal fluid are generally lower in those suffering from Alzheimer’s and APOE E4 gene carriers. 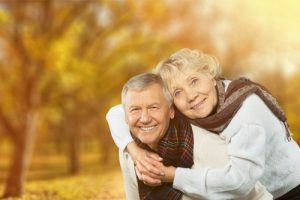 This suggests that having low levels of apoE may be a significant factor in the development of Alzheimer’s and potentially increasing apoE levels could help prevent or slow down disease progression by increasing the removal of Aβ. The researchers began by searching for compounds that could increase apoE levels using an in-vitro drug screen. They discovered that quercetin was able to improve apoE levels significantly as it was able to reduce apoE loss by inhibiting its degradation. The research team then moved to in vivo tests to see if they could reproduce the same effect in an mouse model of Alzheimer’s (5xFAD mice). The mice were given a high 500 mg/kg oral dose of quercetin daily for 10 days. The researchers discovered that quercetin increased the level of apoE in the brain and reduced Aβ levels in the cortex of the test mice. The caveat here is that results in mouse models of Alzheimer’s disease do not always translate to humans due to the differences in biology. However these results do suggest that a lower level of apoE, such as those seen in apoE E4 carriers, might contribute to the development of Alzheimer’s, and increasing those levels may have a protective effect against disease progression. An older study appears to support the notion that apoE is influenced by quercetin (2). Researchers examined the three APOE genotypes and their response to diet and noticed that people with apoE E3 but not the apoE E4 genotype may significantly benefit from consuming dietary flavonoids (e.g. quercetin and isoquercetin) and n-3 fatty acids. This is good as studies suggest that the E3 genotype is the most numerous in the population and that it is more adaptive and responsive to the intake of flavonoids. To put things into perspective the human equivalent dose (HED) matching that of the mice in the research discussed based on FDA guidelines is as follows. The 500 mg/kg mouse dose used in this experiment translates to a HED of around 40 mg/kg. This would be 2.8 grams of quercetin per day for a person weighing 70 kg and with a typical supplement serving being 500mg this is realistic. It is not recommended to exceed more than 1 gram of quercetin a day without consulting your physician. That said the typical supplement dosage per day may potentially help prevent or delay Alzheimer’s developing so it is worth thinking about as part of your daily supplement regimen. It appears that increasing apoE is a potentially promising therapeutic pathway for treating Alzheimer’s and compounds like quercetin and the more potent isoquercetin could prove to be very useful in this regard. Indeed a number of other studies have already explored the potential of quercetin for treating Alzheimer’s (3) though this study is the first to explore the apoE angle. (1)Zhang, X., Hu, J., Zhong, L., Wang, N., Yang, L., Liu, C. C., … & Xu, H. (2016). Quercetin stabilizes apolipoprotein E and reduces brain Aβ levels in amyloid model mice. Neuropharmacology, 108, 179-192. (2)Egert, S., Rimbach, G., & Huebbe, P. (2012). ApoE genotype: from geographic distribution to function and responsiveness to dietary factors. Proceedings of the Nutrition Society, 71(03), 410-424. (3)Sabogal-Guáqueta, A. M., Muñoz-Manco, J. I., Ramírez-Pineda, J. R., Lamprea-Rodriguez, M., Osorio, E., & Cardona-Gómez, G. P. (2015). The flavonoid quercetin ameliorates Alzheimer’s disease pathology and protects cognitive and emotional function in aged triple transgenic Alzheimer’s disease model mice. Neuropharmacology, 93, 134-145.